In the past year, I've noticed that I don't receive comments on my blog posts nearly as much as I use to. I was having lots of issues with spammy commenting so for a while I had to turn on comment moderation. This means that your comment could be left and would be posted once I reviewed it. That's when I saw the comments drop off to next-to-nothing. I myself don't visit blogs nearly as much as I use to. That's why I love Instagram and all the other "quickie" methods of seeing creative projects. Just a quick hit of the LIKE button and I move on. So I'm asking you, my creative friends and followers, is this the case for you as well? Or perhaps you've tried to leave a comment and had an issue? Either way, I'd love your feedback. I'll always keep my blog as my home base. No worries there. Thanks for taking a second and leaving me your feedback on this. It's very important for me to know what's happening, where the comments have gone, and how you're feeling about my content. Upcoming June classes in Tallahassee, Florida! I've just returned from Simple Pleasures in beautiful Colorado Springs and it's back to business for my upcoming classes in Tallahassee at St. Paul's United Methodist Church, 1700 N. Meridian Road. Here's the details below. Sign-ups are through the website provided, not through me, so be sure to contact them ASAP as these classes are filling up quickly! Take a look at what I'll be teaching, then click the link below. Also, here's a link to a little video of tall three projects. 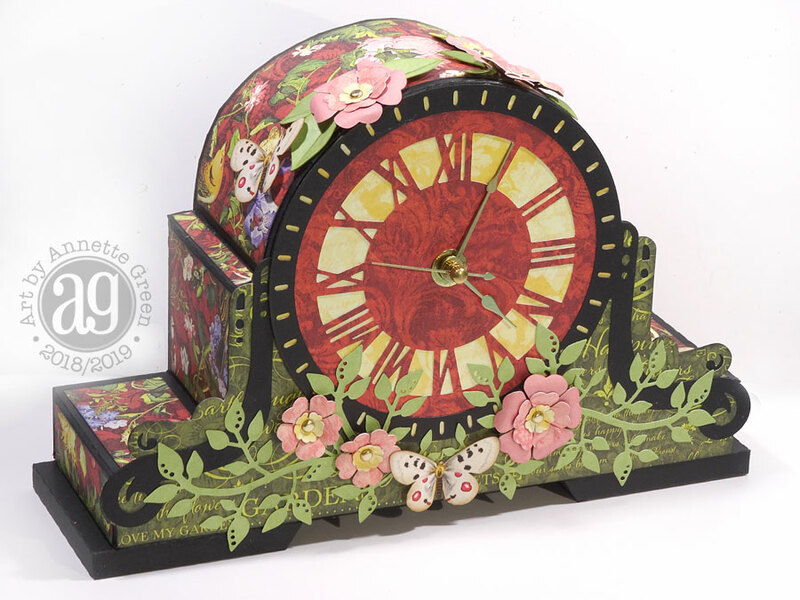 Friday, June 8, 2018 • 6:00 p.m.
A real working clock made from cardstock, foam core, and beautiful Graphic 45 Floral Shoppe papers and dies. A gorgeous home decor piece that people won't believe YOU made! Saturday, June 9, 2018 • 9:00 a.m. 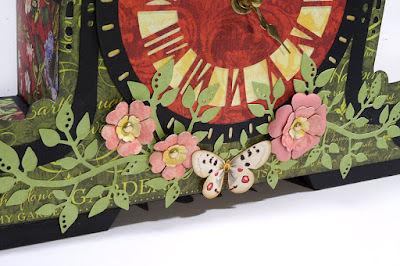 Learn how to take your scrapbook page to the next level with Graphic 45's pretty Little Women paper collection, new dies, clock keys and tags, plus ribbons, stamping and fussy cutting. 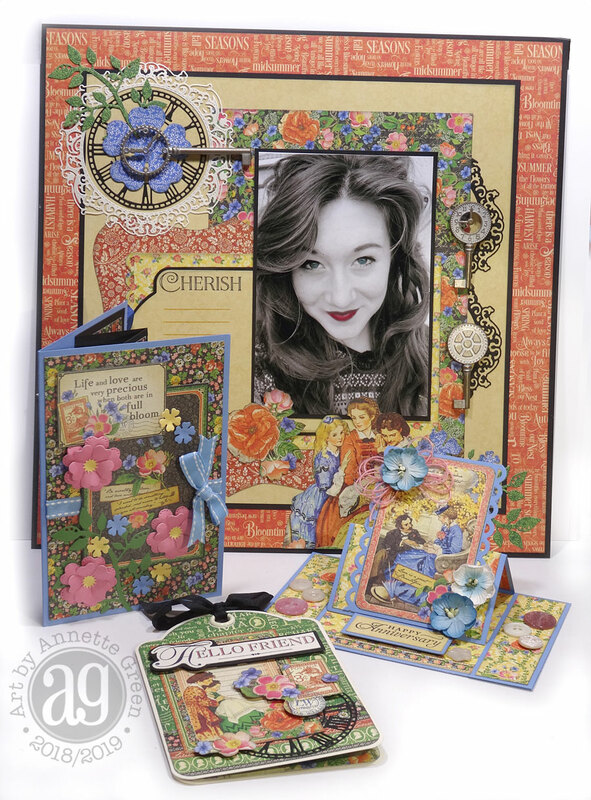 Then make three super fun, technique-heavy interactive cards that are sure to WOW their recipients. 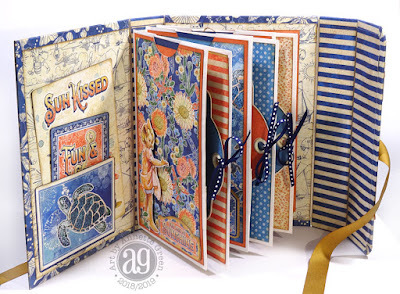 You'll also put together three matching envelopes to coordinate with your cards. Bring a 4 x 6 photo of your choice. Saturday, June 9, 2018 • 1:30 p.m.
Oh the fun you'll have making this album! 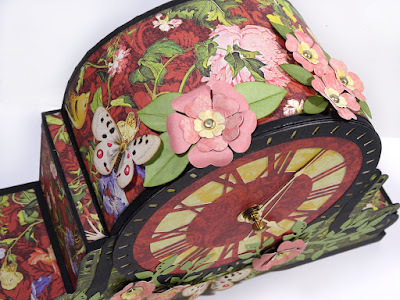 It's filled with technique because the pages are made with paper bags, flat paper sacks, and envelopes! 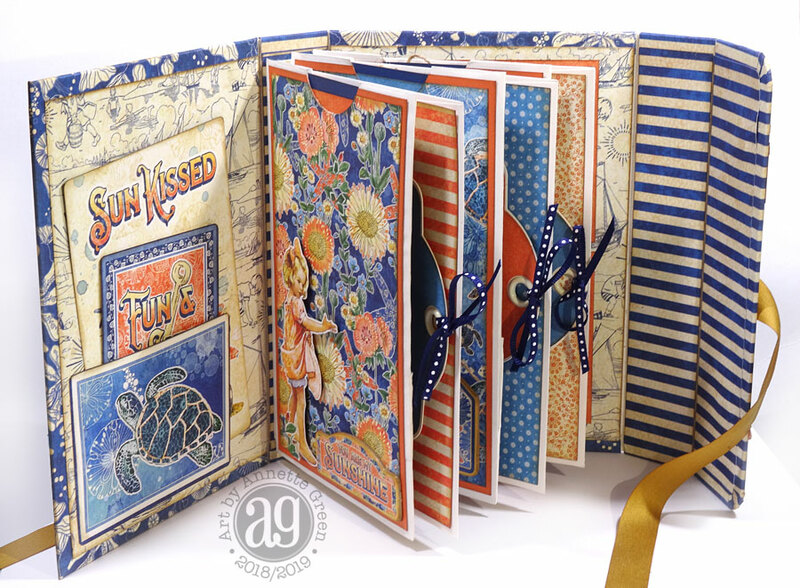 You'll learn how to make a hidden hinge binding, and how to incorporate the Sun Kissed papers, chipboard and ephemera cards. 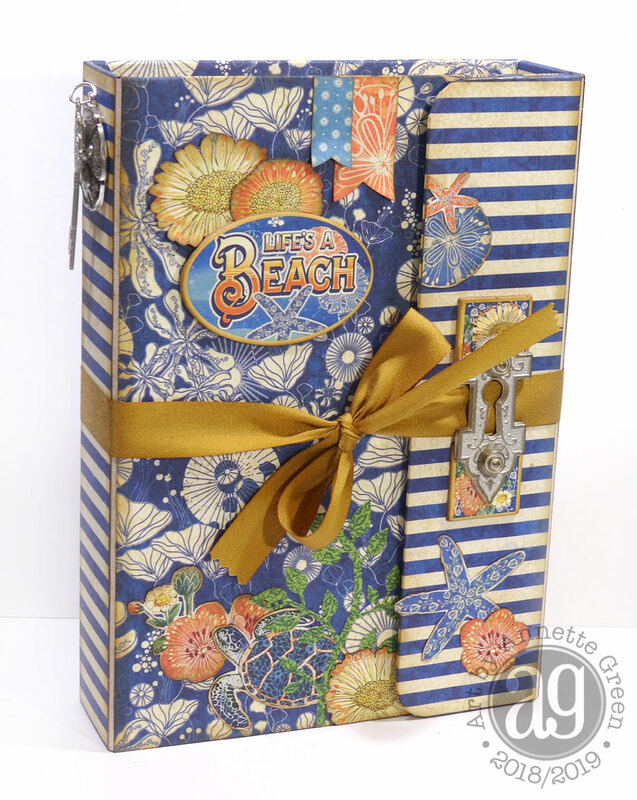 Lots of great tuck spots for tags and places for photos and journaling. The hard fold-over cover secures with magnets. This will be the perfect album for your summer/vacation photos. CLICK HERE TO SIGN UP & for more details!